Things are so exciting here at the Olympic Village! If this is your first time reading my posts, I am currently in Rio for the 2016 Olympics. I used to compete for Team USA Handball and now the United States Olympic Committee has brought me back to serve as a non-competing athlete for the 2016 games. My main role is to support our competing Olympic athletes from an athlete’s perspective. While I’m here, I’ve decided to share some of my experiences and how dealing with our athletes in the Olympics can help me be a better youth pastor. For every Olympic athlete, Opening Ceremony marks theofficial beginning of their dreams coming true. For those who take part in the opening procession, the energy and excitement they feel while preparing to walk into the stadium is incomparable… but not every athlete gets to walk. 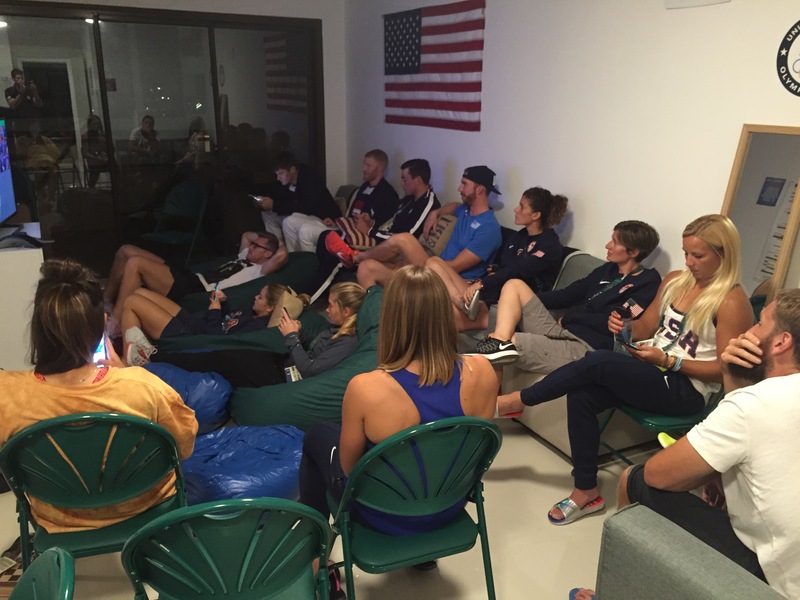 During the ceremony, I hung back with to 50+ Team USA athletes who chose not to participate due to their competition schedule. Understandably, this can be a very emotional and difficult decision. Our goal was to make it as much fun as possible for those who had to stay back. 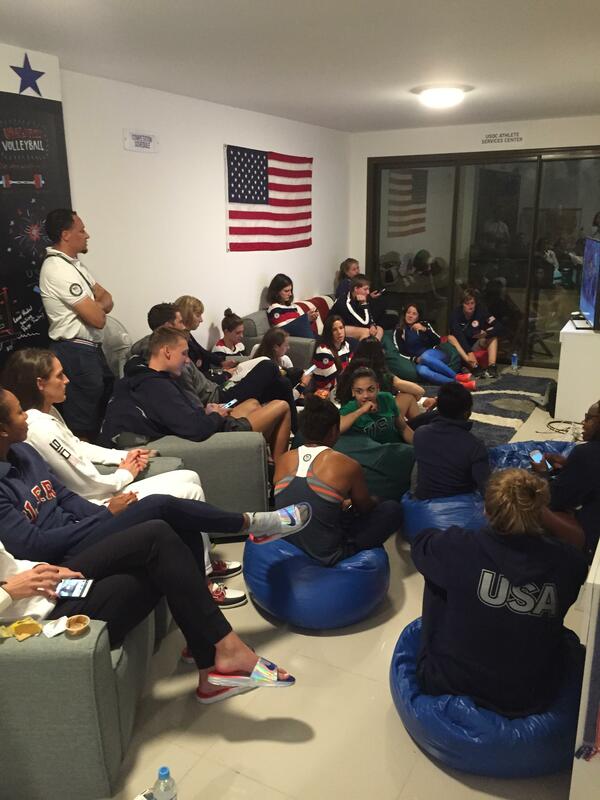 We held a viewing party and invited athletes to wear their Ceremony gear. We had special desserts and fun activities planned, but mostly it was about building community. Emotions were mixed…some were crying while others were joyful. The reality is missing out on a once in a lifetime opportunity is nothing to sneeze at. All of these athletes understand that this could be their last Olympics. Our role is not to diminish their feelings by saying things like, “There’s always next time” or “think about how long you would have to stand and wait in line if you were there.” The best thing that I can offer them is empathy (“this situation stinks”) and then try to make this new experience memorable, not comparable. Often times in youth ministry when a student doesn’t make a team, gets cut from an extracurricular activity or doesn’t get into their college of choice, it is easy to diminish their experience and cast it off as trivial. But those situations stink and I think that our ministries can do some creative things to redirect our students and make something memorable…not comparable. Activities like a prom alternative or even just small group outings for those that we know are missing out on other opportunities can make a huge difference. It is never easy to miss out on opportunities whether you are an Olympian or a teenager. With the rise of social media sites, students (and Olympians) instantly see when they are excluded from things that feel so important. I want to be better at not diminishing what they deem as important but instead working to help our students redirect those emotions into a new and different positive experience.